Your home, is for many, your biggest investment, so why not give it the setting it deserves. 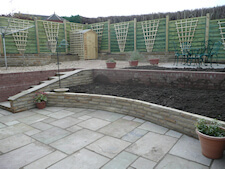 A beautiful landscaped garden will prove a significant asset, designed to complement your home and add value to it. If tailor made to your families needs, it will increase your living and social area and give you the opportunity to spend time outside in pleasant surroundings. 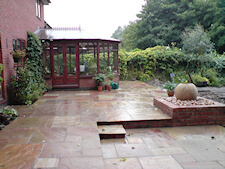 Paul Gibbons Landscapes Ltd can guide you every step of the way providing you with ideas and designs to suit your property and its surroundings, any number of quotations for those options, and a good quality service with as little disruption as possible during installation. We want you to be fully satisfied with our work and will not expect final payment until the project is completed to your full satisfaction. 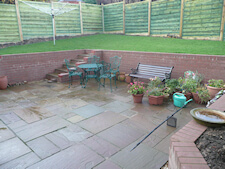 We supply a 5 year guarantee on all our work. 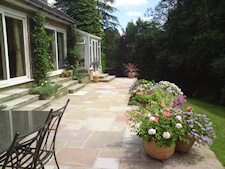 Whether you have an architects drawing or would like design ideas and suggestions to suit your lifestyle, we can provide a complete garden landscape service which may include paving, fencing, turfing, water features, rockeries and planting.